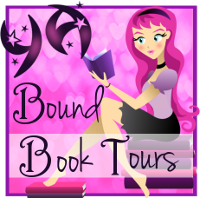 YA Bound Book Tours: Blog Tour Kick-Off: Crossing the Line by Ellen Wolfson Valladares! 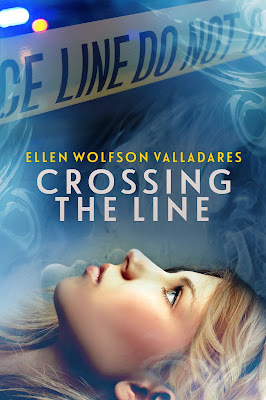 Blog Tour Kick-Off: Crossing the Line by Ellen Wolfson Valladares! YA Bound Book Tours is organizing a Blog Tour for: Crossing the Line by Ellen Wolfson Valladares. This tour will run from March 26th to 30th. Check out the tour schedule below. Laura, who died thirty years ago, enlists the help of a tenacious high school reporter named Rebecca, who is very much alive. Rebecca, although skeptical and conflicted by her supposed encounters with a spirit, determines to learn the truth about Laura’s tragic death. As the clues unravel and their worlds collide, Rebecca finds herself at a dangerous crossroads. Laura, now pulled back into everything she left behind when she died – her old high school and memories of her life and death—has been in training for this exact moment. And nothing means more to her than succeeding at her assignment. It is her one chance to make sure that what happened her does not happen to anyone else, and especially not to her new friend, Rebecca. Ellen Wolfson Valladares is an award-winning writer/author, workshop facilitator, community volunteer, and mother. A native Floridian, she grew up in St. Petersburg and graduated with a bachelor’s degree in Journalism from the University of Florida. She has worked as an editor, public relations professional, and freelance writer. Her newest release, Crossing the Line from WiDo Publishing, is a young adult novel about a teenage spirit from the 1980’s who befriends a current-day high school girl in the hopes of preventing a similar tragedy from occurring again. After her first child was stillborn in 1995, Valladares became dedicated to helping families suffering a similar loss. She volunteered as a peer counselor to help bereaved moms, ran a support group called “Surviving Pregnancy After a Loss,” and helped create and run an annual event for grieving families. 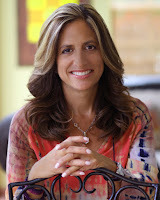 In addition, she is a past president of the Board of Directors of Healthy Mothers-Healthy Babies Coalition of Broward County, Inc.
Valladares has also taught numerous workshops in the South Florida area on a variety of metaphysical topics, including angels, intuition, meditation, and life purpose. Today, Valladares continues to work as a freelance writer. Currently, she writes for several alumni magazines at Nova Southeastern University in Davie, Fla. She is a member of the Society of Children’s Book Writers & Illustrators (SCBWI) and a member and former Board member of the Florida Authors and Publishers Association (FAPA). She also enjoys working as a college essay coach for high school students and helping other writers realize their dreams. She has been married to her husband, Manny, for close to 30 years (May 2018) and they have two sons, Gabriel and Michael, two dogs, Flash and Chili Pepper, and a crazy cat named Zelda. They live in Weston, Fla.